Electric gates provide style, security, convenience and safety all in one. They also add value and enhance the appearance of your home. But when it comes to choosing the style of gate that would best suit your driveway, it can seem like a bit of a minefield. So here’s some top tips on choosing the right electric gate for you. Gates are often the most visible part of your exterior and can create a lasting first impression. There are a huge range of different styles when it comes to electric gates but ultimately you would want to choose something which complements your home. 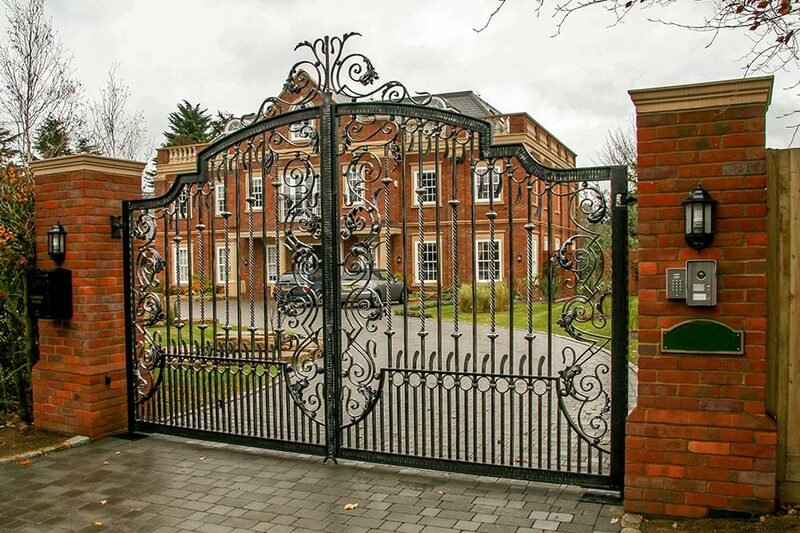 Whatever style you want to create; Victorian grandeur, sleek modernity or even stunning art nouveau we have the designs to complement and, because every gate is made to order, we can always accommodate tweaks to make it exactly the way you want and truly unique. This will most likely come down to the layout of your driveway. Sliding gates require little room to operate, as long as you have the horizontal space for them to open against. A swing gate takes a lot of space, as you need clearance on the opening side so that it can open all the way. Bear in mind that you need to have enough space clear for cars whilst swing gates are opening. Access control adds another level of security as it enables you to control who has access to your home. From standalone keypads with numerical codes to audio and video intercoms that allow you to speak and see who’s at your entrance. You can now even control your gates using your smartphone! In the end, it’ll come down to your budget and requirements, we stock a large variety of intercoms and you are therefore guaranteed to find the perfect access control system to suit your needs. Hopefully these tips will get you well on your way to choosing the perfect set of electric gates, for more information or advice call us on 01282 677300. If you want some more inspiration come and visit one of our showrooms, most of the gate displays have electric motors and a range of intercoms so we can show you what combination of systems might work best for your home or commercial property.